Meditation is a useful tool for personal growth, inner peace, relaxation, stress relief, health and wellbeing. Combined with a holistic, healthy lifestyle, meditation is a great cure for all the things that ail us in the modern world. Meditation is the art of stillness. Learn how to stop your mind from racing and how to better manage the constant chatter, ever present. I run regular ongoing, guided meditation groups and teach meditation techniques as an Accredited and Registered Meditation teacher with the Meditation Association of Australia, the national peak body representing meditation and meditation teachers. Meditators of any level are welcome and the sessions occur in seated chairs. You are lead through a guided meditation set in nature. Please wear comfortable clothing and bring water. The cost of the session is $20 ($15 conc. HCC). Attendance is casual but please phone, text or email to book and the address will be given. I have worked as a professional Social Worker for over 20 years. In this capacity I have worked with people of all ages, counselling on a broad range of issues. Most people do not make a decision to seek counselling lightly. Often their usual method of tackling problems have not met with success. Being caring, confidential and non-judgemental underpins my approach to counselling. I bring to the counselling relationship openness, respect and a sincere desire to help. I believe that feeling safe and understood are important in order to work through problems. I also find that my genuine caring and warmth is felt by the individuals with whom I work. I understand that people can feel a little nervous particularly if they have never undertaken counselling before. My aim is to provide a relaxed environment which is warm and inviting and my clients often comment on that aspect in positive terms. Sessions go for approximately one hour and following our first session where we identify the issues that need resolving, I often suggest 3-4 weekly or fortnightly sessions with a further review after that time. It is not possible to indicate how many sessions you may require, it will depend on the issues to be worked through, but is always negotiated around your needs and personal preference. After hours appointments are available. A Crystal Light Bed assists healing to take place on all levels of your being. Healing often takes place on the mental, emotional or spiritual level before creating an improvement or healing on their physical condition if that is an issue. 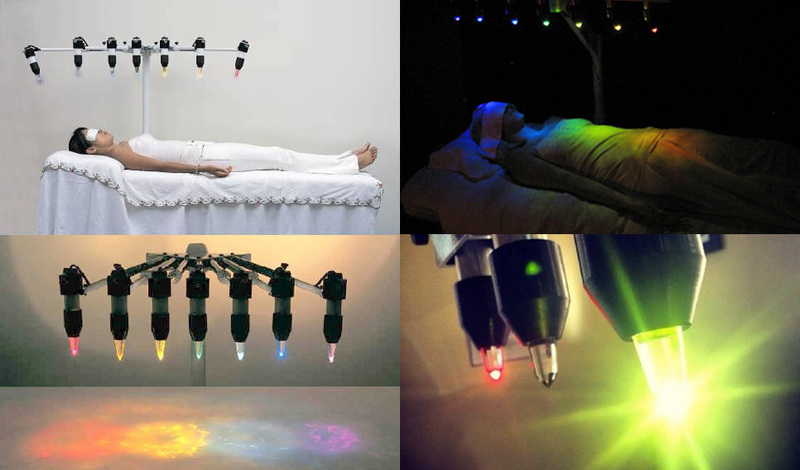 A Crystal Light Bed contains 7 clear quartz crystals which are suspended above a person’s energy centres. A coloured light which corresponds to the vibrational frequency for that energy centre is shone through the crystal. Healing and well being are dependent on the persons willingness to achieve their newly desired state. Individual experiences range from a calming and relaxing session to a life altering experience. Improvements in health and any any physical or emotional condition are common.